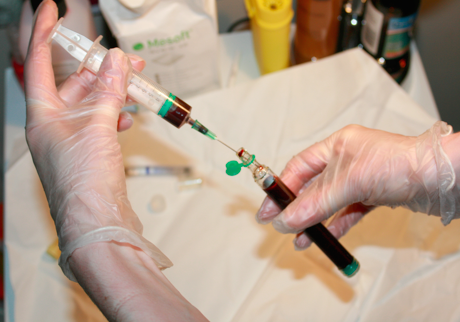 Beauty Therapist or Medical Practitioner for injectables? There seems to be a rise in injectable and skin rejuvenation treatments that are being administered by Beauty Therapists. Beauty Therapist's are highly trained in certain areas of the industry and are exceptionally good at what they do however currently there is no legislation stopping a therapist from completing a day course and then offering treatments such as Botox and fillers to their clients. Although most may produce good results there are some pretty serious implications that are more likely to occur after treatment with a Beauty Therapist. We receive lots of emails from people asking our advice on where to go for various treatments and our personal opinion is that if you are wanting an injectable treatment then you should only be visiting a fully qualified medical practitioner. We wanted to highlight this and have interviewed Dr Amber Woodcock for her expert opinion on this subject. I always wanted to be a doctor! I had a little doctor’s case and red cross armband when I was younger. I spent a lot of time in hospital as a child with a rare inherited kidney disorder. I used to feel right at home and regularly would watch casualty and all manner of cheesy television hospital dramas. The rest as they say is history! 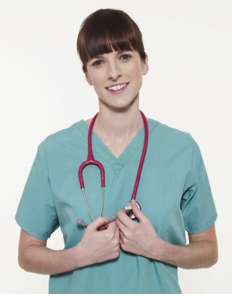 I graduated as a Doctor in 2012 and entered NHS training in Norfolk, I studied for my post graduate exams and continued to work up the career ladder, currently employed as a medical registrar. I started my cosmetics clinic in 2016 and have worked extremely hard to grow my business over the last 3 years. 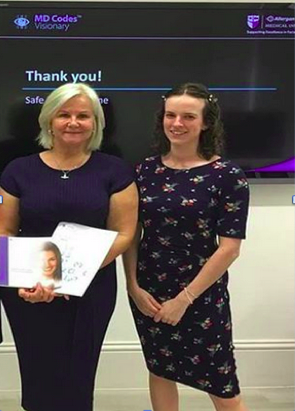 I have invested heavily into the clinic, attending many training courses, conferences and always offering the latest and safest treatments for my patients. I love achieving natural results for my patients and increasing their confidence. I am excited to see what the future brings and it’s my pleasure to offer patients a safe and relaxed environment for their treatments. What medical/professional training did you obtain before you began offering injectable and chemical/rejuvenation treatments? I pursued my dream to become a doctor despite many obstacles. I first studied biomedical science in Nottingham. I then went onto study my MBBS at UEA and graduated with distinction in 2012. I continued studying and took my post graduate exams and became a member of the Royal College of Physicians. I undertook my initial training in botulinum toxin and fillers at the cosmetic courses academy. From there I studied many advanced techniques in 1-1 training and small groups. I have also undertaken advanced anatomy/complications workshops. My advanced skincare training has been undertaken over several sessions and includes microneedling, chemical resurfacing and platelet rich plasma treatment. Every year I attend several new training courses and conferences to expand my skills and maintain my knowledge. As a medical professional I also undergo a yearly appraisal to maintain my professional and ethical standards. What do you think of the rise in high street beauty therapy based clinics offering injectables/certain skin rejuvenation treatments? It’s certainly a concern. The cosmetic industry is highly unregulated at present, leading to real confusion as to what is safe and what isn’t. They key thing here is that nobody is out to insult or criticise non medics. It boils down to patient safety, injectable products and drugs are potentially dangerous and have serious life changing side effects. For that reason, they should only ever be administered by experienced medical professionals. Many patients who visit my clinic (and have had treatments elsewhere) have never been told that lip fillers can cause you to go blind. Yet this is a well-known complication and should be discussed at every treatment. As a doctor in a busy hospital I have to discuss difficult topics every day and therefore this is very familiar to me. For someone who isn’t used to taking informed consent for serious procedures there is potential for lots of relevant and important information to be missed out. There is no doubt that some non-medics have produced beautiful work, but at the end of the day the potential risks and side effects are so great that the procedure should only ever be performed by medical professionals. Are there any differences in the quality of formulations in the products a beauty therapist can offer compared to a medical practitioner? Are there certain laws preventing them obtaining safe formulations? Many top quality filler and toxin brands don’t endorse non medics injecting. However, as with all products, there is sadly a black market and they can be purchased easily online. Whether these products are legitimate or safe is another question. As a medical professional with a prescribing license, I can order my products direct from a registered pharmacy knowing they are safe, sterile and genuine. A non-medic cannot order from a pharmacy, if they want to order botulinum toxin or emergency drugs for example, they will have to pay somebody to prescribe it for them. With regards to skincare and chemical resurfacing, the high strength solutions are prescription only and should only ever be purchased direct from the company or pharmacy to ensure safe and genuine products. If a treatment were to go wrong I.e allergic reaction/bleed/damage would a medical practitioner have access to different remedies to help the issue that say a Beauty therapist would? Absolutely. A medical practitioner should have years of training and then even more years of working in hospitals/emergency environments. This provides a wealth of knowledge, experience and a very unique skill set. As a doctor I can also legally carry stock of drugs in my clinic for an emergency, eg oxygen, adrenaline, antibiotics etc. A key drug I must stock is hyalase, the drug which dissolves fillers in an emergency. Somebody who has no prescribing license (e.g a non-medical professional) cannot legally obtain these drugs without a prescription. They would have to pay somebody to prescribe them for them or to obtain them illegally from other sources. 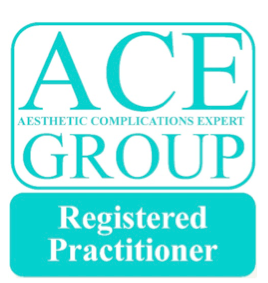 I am also a member of the aesthetics complications expert group which provides researched complications guidelines and a network of medical professional support all over the UK. What is the current legislation/insurance with regards to offering these treatments? There is currently no legislation in England with regards to cosmetic treatments. Anybody can order what they like off the internet, do a one-day course (which isn’t even mandatory) and call themselves a cosmetics clinic. It is terrifying. Unfortunately, the public want to save money and will be enticed by bargain prices and special offers. If something seems cheap, there is usually a reason for it. The top cosmetic insurance companies insure medics only, but there are several insurance companies which will now insure non medics to inject. If someone were to go to a high street salon or non-medical professional for treatment, what questions would you advise them to ask and what warning signs should they look out for? I.e are there certain ‘good’ courses a therapist may have attended that would at least set them apart from someone offering Botox in the window of Superdrug! What training have they done? Are they a prescriber? Do they do further training each year to keep their skills up to date? Do they have patient reviews you can read? Do they have before and after photos you can see? Is the clinic clean and tidy? Is there adequate information, written/verbal about your chosen treatment? Can they answer all your questions about potential complications and how they would manage these? And most importantly, do you feel comfortable and safe in their hands? Can anyone apply for a course to learn how to do these treatments? Most reputable companies train medical professionals only. However, there are an alarming number of training companies, some even calling themselves “universities” who will train anybody. How would you like to see the industry change or become more regulated? I would like legislation put in place which makes it illegal for a non-medic to perform specific cosmetic treatments. Therefore, anyone other than a medical professional offering it will be breaking the law. This is the only way to offer some protection to the vulnerable public. Don’t rush into having a cosmetic treatment and don’t ever be pressured into having more than you want done. A good and ethical practitioner will always give you as long as you need to make your decision. A good professional clinic will carry out a consultation separate to your treatment. Cosmetic clinics should not be a “one stop shop”. Where can we visit you? You can visit me at my clinic in Surlingham, Norwich. I am based in a lovely peaceful village with parking and upmost privacy. Simply contact me through my website www.cosmeticsdoctor.co.uk email dramber@cosmeticsdoctor.co.uk, Instagram – @Cosmeticsdoctor and facebook – cosmeticsdoctor. *We are not affiliated with Dr Amber Woodcock and approached Dr Woodcock for interview based on her years of expertise in the industry.